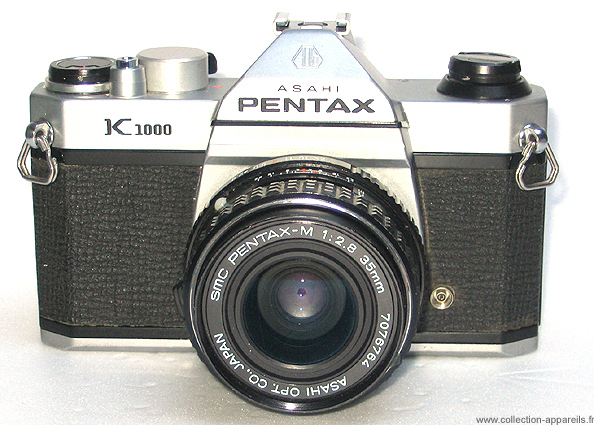 The Pentax K1000 “La Poste” is a modified K1000 allowing employees of the French Post Office to take pictures of telephone exchanges counters for billing purposes. This happened when the Office was still called PTT for Post, Telephone, Telegram and Post, Telephone and Telecommunications. The settings of speed and sensitivity were blocked and inaccessible from outside of the device. The speed was set to sync with the flash. 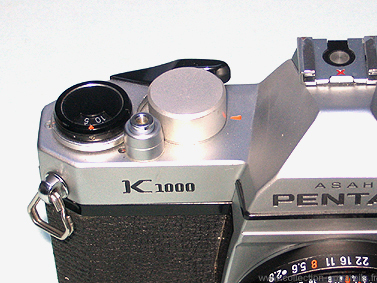 The camera was mounted on a cradle (see traces in of screw marks on the bottom of the unit). In one frame, it was possible to picture 100 phone counters, and after developing the pictures, were enlarged then cut into strips and used for billing individual customers. 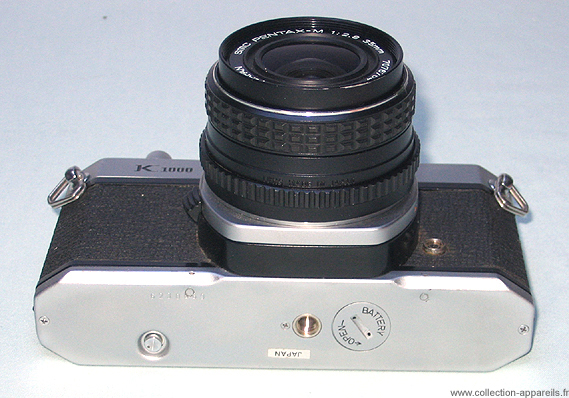 Other brands were used by the PTT such as Leica, Alpa, and Foca.